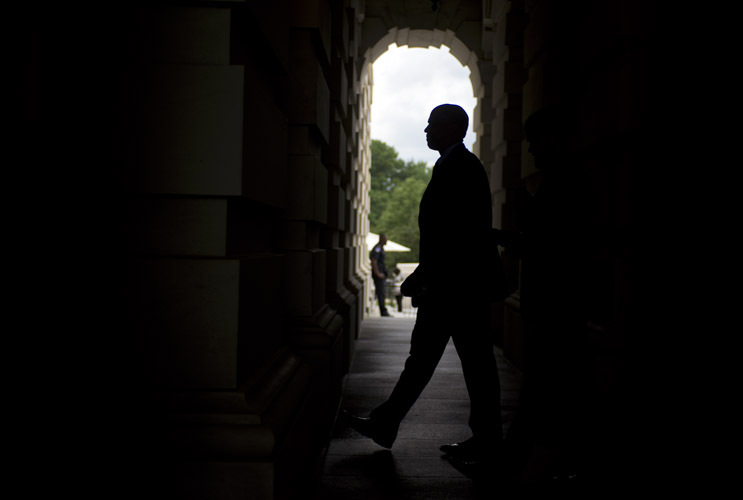 President Barack Obama departs from the Capitol following a meeting with House Democrats. The President visited in the eleventh-hour before a series of votes on the his request for fast-track authority to negotiate the Trans-Pacific Partnership trade pact. 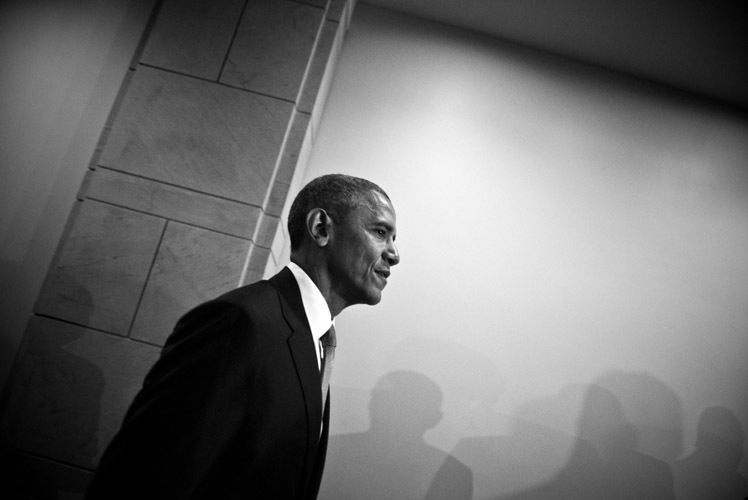 Obama pleaded with his caucus not to vote down the legislative trade package despite members' reservations on the impact it would have on American workers. 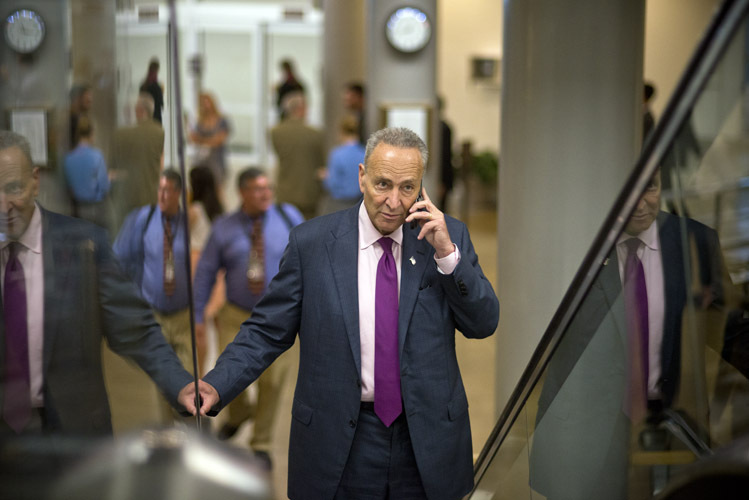 Sen. Chuck Schumer (D-N.Y.) walks through the Capitol basement, on his way to the weekly policy luncheon with the Democratic caucus. Sen. Cory Booker (D-N.J.) returns to the Capitol through the Senate carriage doors after attending a prayer circle on the west lawn in honor of Charleston shooting victims. The night before, a gunman entered Emanuel African Methodist Episcopal Church in Charleston, S.C. and killed nine people. 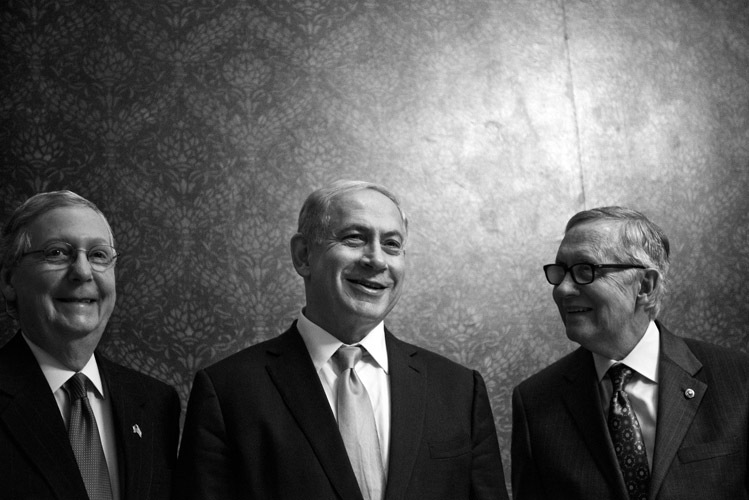 Israeli Prime Minister Benjamin Netanyahu, center, meets with the Senate leadership following his controversial joint-address. He began his remarks with praise for Minority Leader Harry Reid (D-Nev.), right, saying "Harry, it’s good to see you on your feet." Reid was recovering from an accident that left him with several broken ribs and partial blindness in his right eye. Rep. Michele Bachmann (R-Minn.) emerges from a Republican caucus meeting explaining she will switch her vote from 'nay' to 'yea' after the GOP leadership addressed concerns over a bill that addressed the surge in children crossing the border with Mexico. Bachmann and other conservatives threatened to revolt against any bill seen as giving tacit approval to the Obama Administration's response to the border crisis. 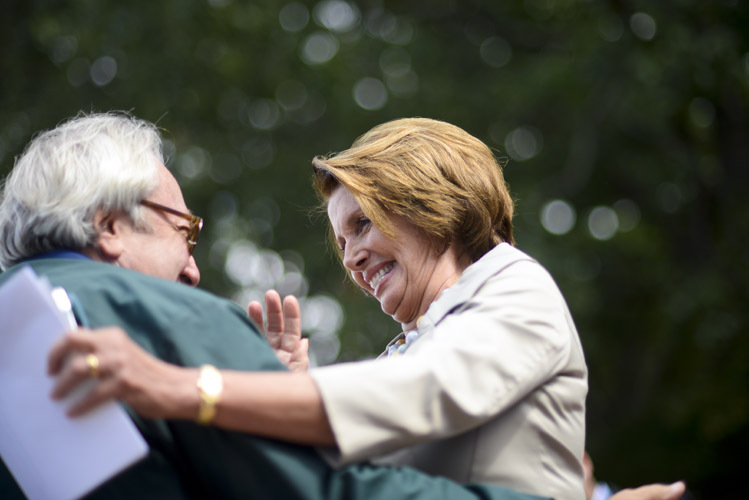 Rep. Nancy Pelosi (D-Calif.) greets a supporter before speaking at a rally to drum up support amongst Democratic voters before the upcoming midterm elections. Pelosi declared that Democrats would prevent any Republican effort to enact cuts to Social Security and other social safety net programs. 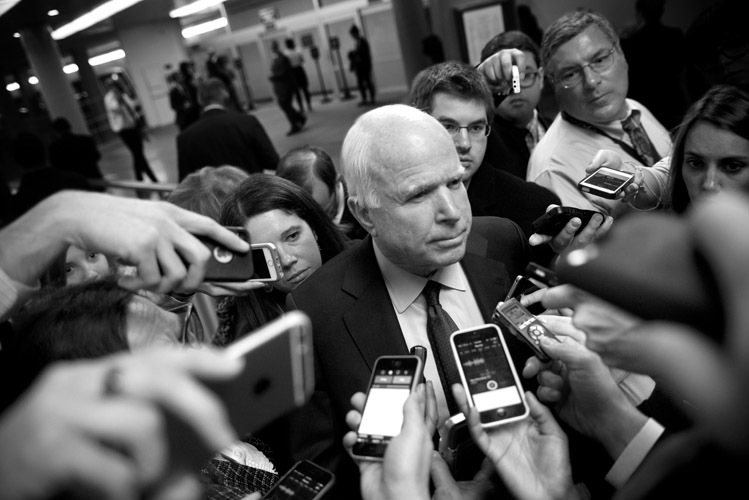 Sen. John McCain (R-Ariz.) is surrounded by a gaggle of press reporters in the Capitol underground. McCain, the chairman of the Senate Armed Forces Committee, was asked about the National Defense Authorization Act under debate in the Senate. 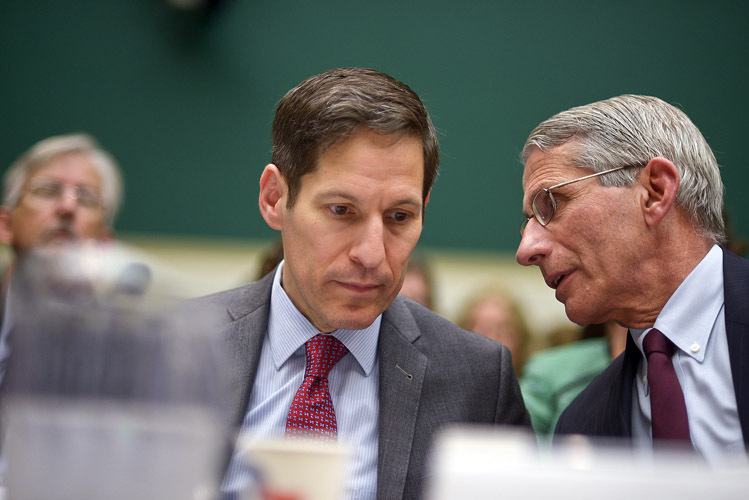 As concerns grew over the growing ebola epidemic in west Africa and the emergence of several cases in the United States, Dr. Thomas Friden, left, the director of the Centers for Disease Control, and Dr. Anthony Fauci, director of the National Institute of Allergy and Infectious Diseases, came to the Capitol to brief the public on the government's response to the crisis. 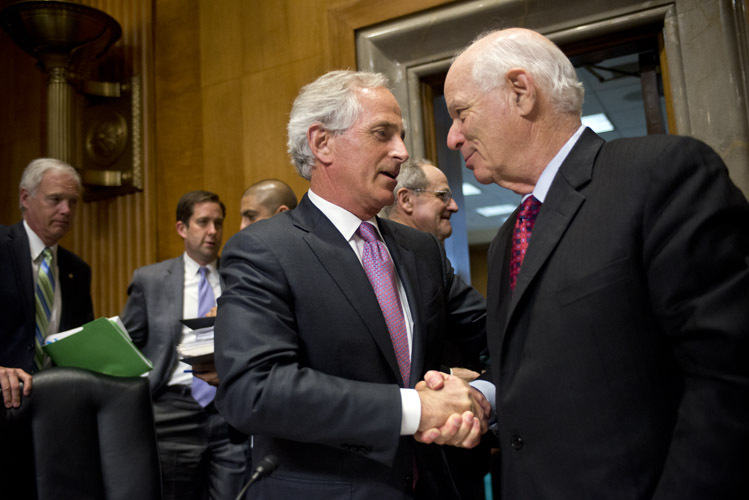 Despite fierce opposition from the Obama Administration, Senate Foreign Relations Committee Chairman Bob Corker and the committee's ranking member Ben Cardin shake hands after their negotiated bill passed out of committee. The legislation, which would give Congress a vote over the nuclear deal with Iran, received unanimous support from the committee and the President backed down from his veto threats. 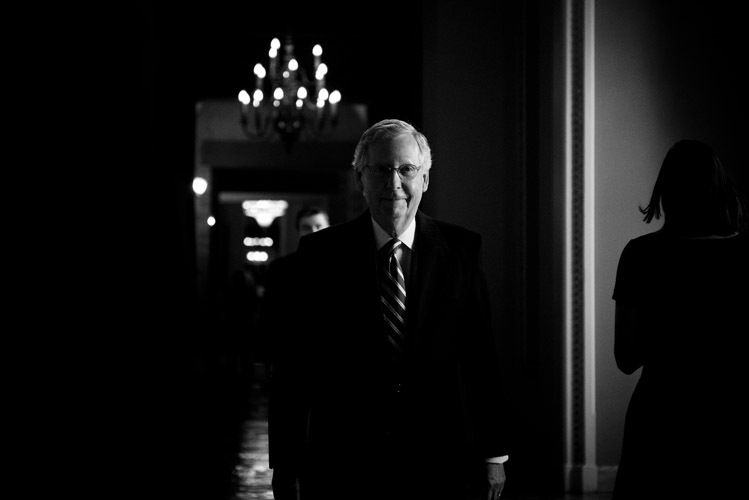 Senate Majority Leader Mitch McConnell proceeds from his Capitol office towards the Senate chamber. 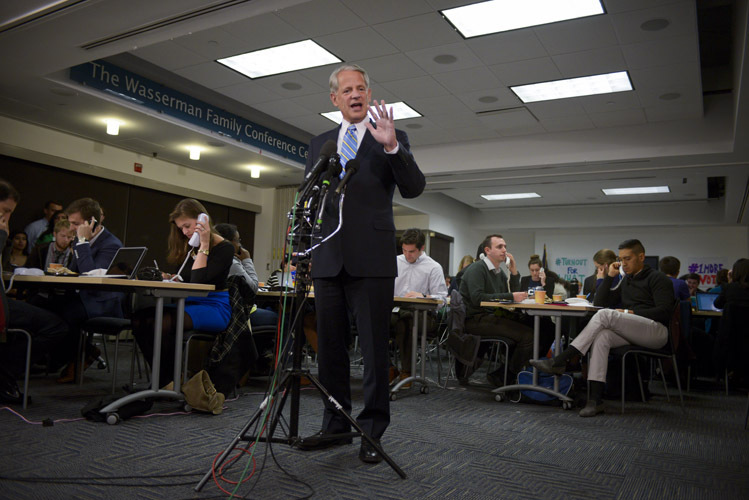 Rep. Steve Israel (D-N.Y.), the chairman of the Democratic Congressional Campaign Committee, speaks with reporters as Democratic volunteers continue to call voters behind him before polls close throughout the east coast. Exit polling indicated that the 2014-midterm elections would inflict big losses on the Democrats. 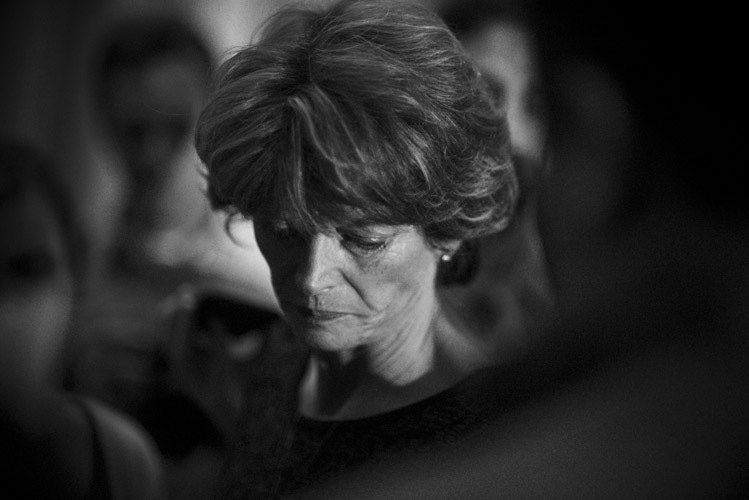 Sen. Lisa Murkowski (R-Alaska), the new chairwoman of the Senate Committee on Energy and Natural Resources, denounced the Obama Administration's plans to declare millions-more acres within the Arctic National Wildlife Refugee as "wilderness." Murkowski said these actions would hinder oil exploration and production in Alaska and would be detrimental to the state's economy. Following his 2015 State of the Union speech and after spending several minutes shaking hands on the House floor, President Barack Obama is pulled aside by an aide. 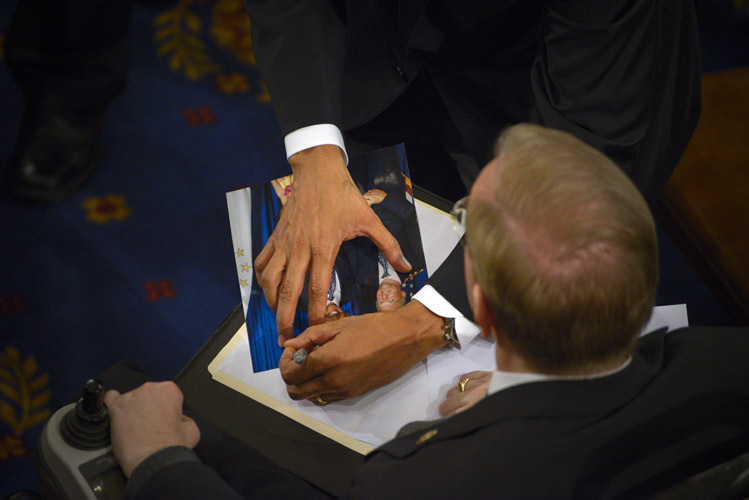 A man asks the President to autograph a photo of him posed with a much younger looking Obama.